With the heart of summer upon us, the Myriad Gardens downtown begins hosting outdoor events a-plenty. Movies on the lawn and the Sunday concert series are always a draw for the community to throw down some folding chairs and hang out. 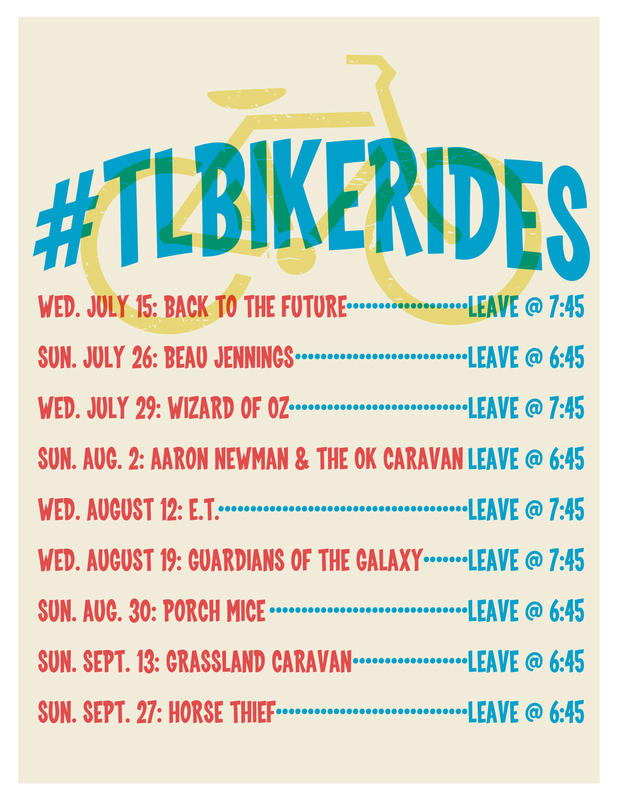 We've decided to get in on the action by organizing evening bike rides to some of our favorite events. It's open-invitation, all are welcome to join our pedaling caravan as we depart from the Plaza! We'll post a schedule with dates and meet-up times soon! Stay tuned!